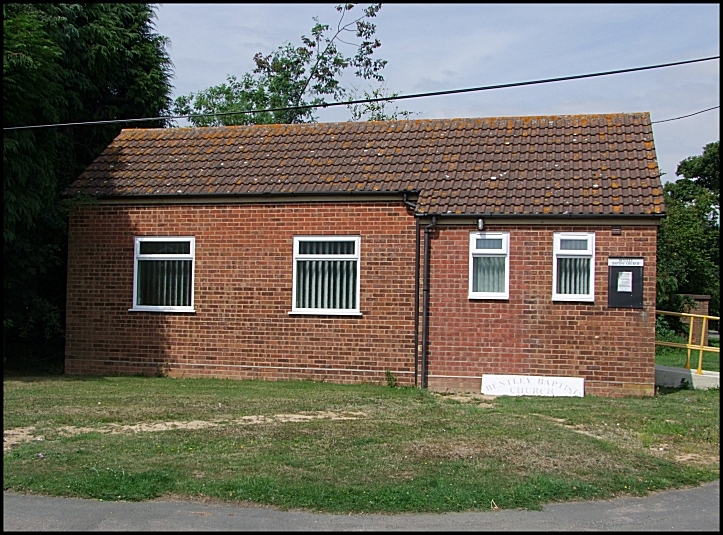 It was the late summer of 2009, and I was cycling around the lanes south of Ipswich in a slightly aimless fashion, when I came across this functional little building in the centre of Bentley. I had passed, in the last few miles, two non-conformist chapels which had recently closed, and another that was threatening to do so, so it was with some interest that I photographed this building, which seemed to suggest that there was a spark of dissent in the south of Suffolk even now. Looking at the church's website, I was struck by the fact that they preached a particularly strong and fiery protestant message: at first glance, I had assumed that their official title of Bentley Reformed Baptist Church meant that they were a liberal lot, but it seemed that nothing could be further from the truth. I find this interesting because, although their theology is not for me, it is certainly true that Bible fundamentalist churches are a growth area in modern Christianity. It will be interesting to come back and see how this lot are getting on in ten years or so.